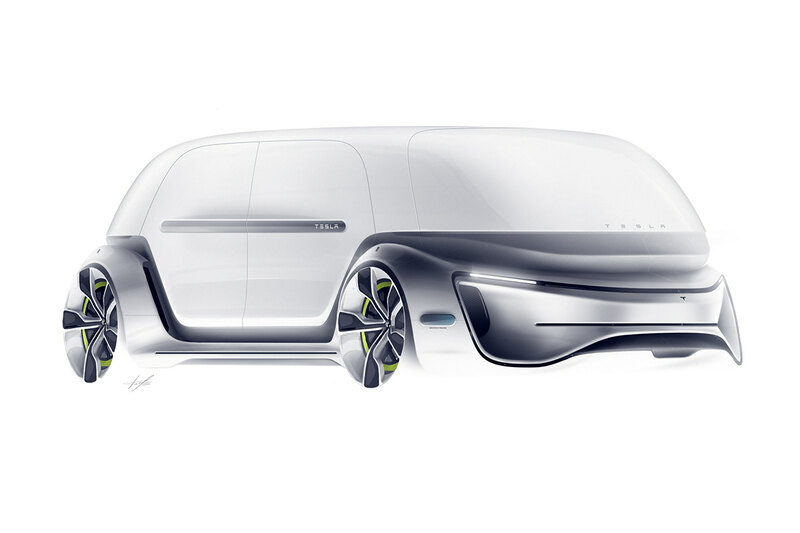 Tesla Pod is my Design Master's Thesis which consists of a Modular Autonomous Electric Platform for the Transport of People and Cargo through urban areas. 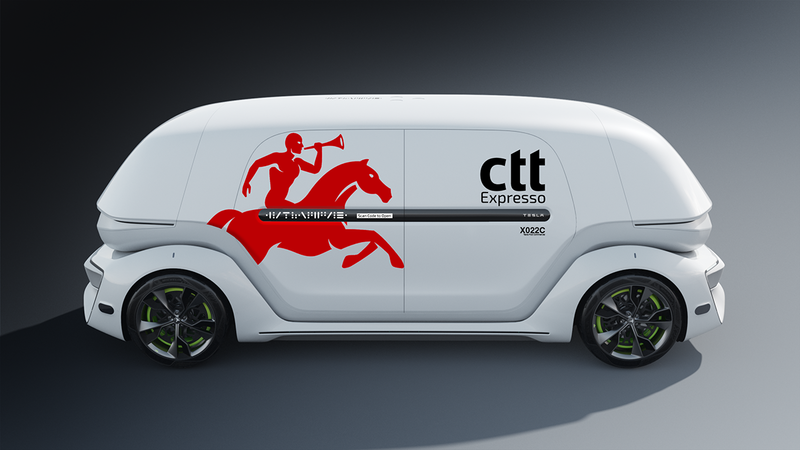 The Commercial Module here presented was designed for autonomous transport of goods through urban areas. 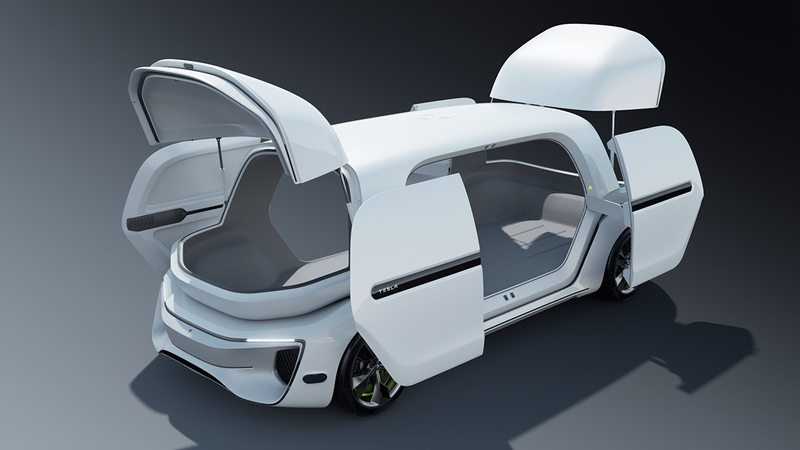 without a human on board, the usable space for cargo is much bigger, allowing for 4m3 of interior volume while maintaining small outer dimensions, ideal for urban travel. 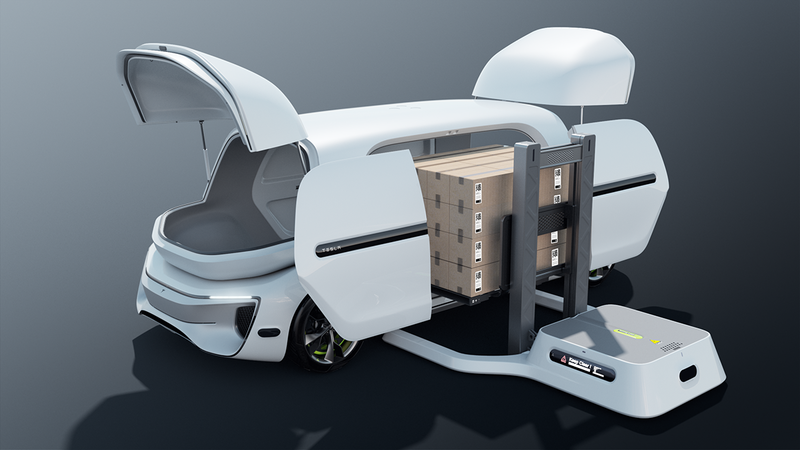 The module uses the same door opening mechanism as the private module, in order to reduce production cost, and has the same top Drone arm connector and lower platform connector as the other Tesla Pod Modules. In the outer panel of the doors there are screens that display unique codes, that can be checked by the Tesla Pod application, in order to verify the recipient's identity and open the doors. With this modular and independent approach, each module can be developed at a substantially lower cost than current concepts of mobility, opening various possibilities for new and innovative urban mobility concepts. Everything in this Thesis was designed, modeled, rendered and edited by myself. Special thanks to Chaos Group and Accura3D for the support. 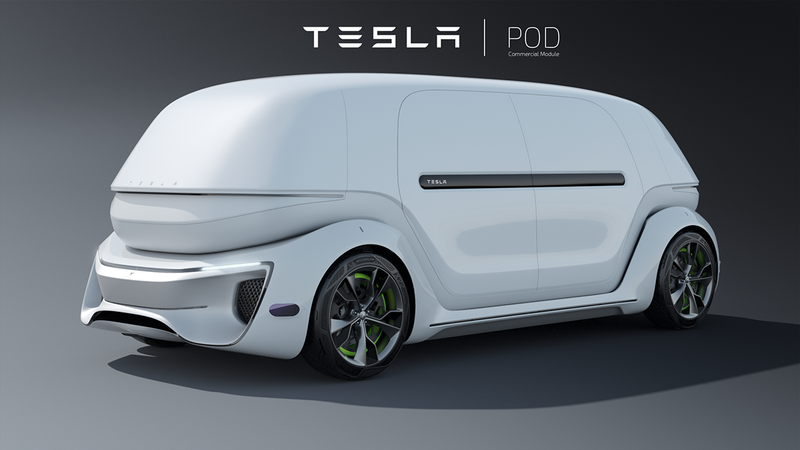 Tesla Pod is my Design Master's Thesis which consists of a Modular Autonomous Electric Platform for the Transport of People and Cargo through urban areas. 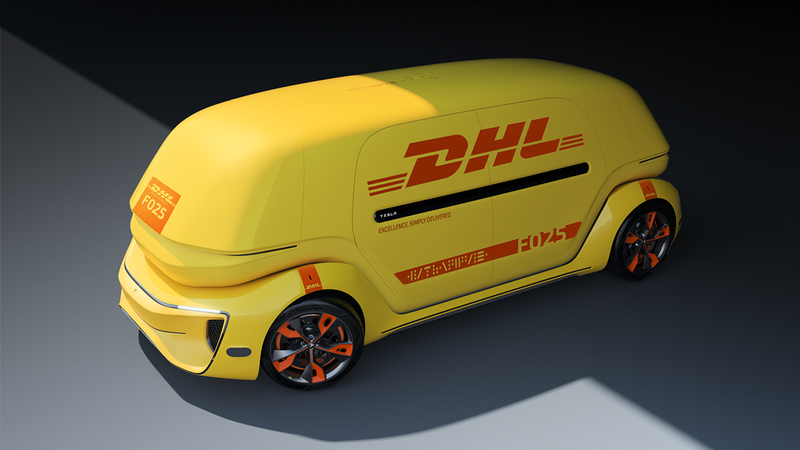 The Commercial Module here presented was designed for autonomous transport of goods through urban areas. 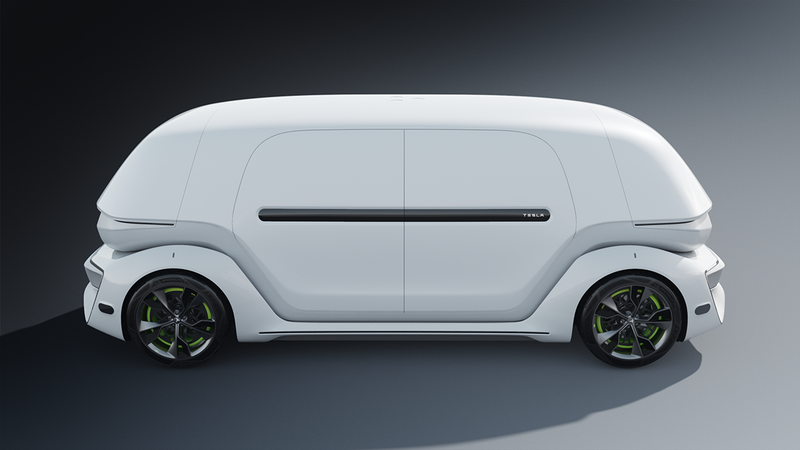 without a human on board, the usable space for cargo is much bigger, allowing for 4m3 of interior volume while maintaining small outer dimensions, ideal for urban travel. 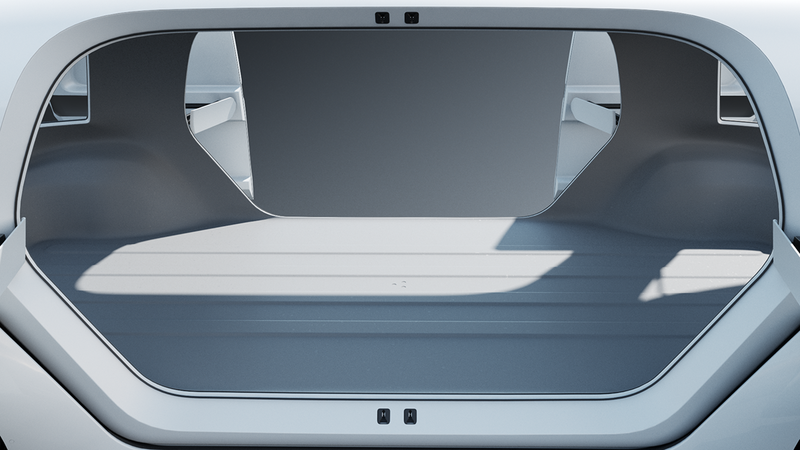 The module uses the same door opening mechanism as the private module, in order to reduce production cost, and has the same top Drone arm connector and lower platform connector as the other Tesla Pod Modules. In the outer panel of the doors there are screens that display unique codes, that can be checked by the Tesla Pod application, in order to verify the recipient's identity and open the doors.